With so many companies and corporations making use of modular construction, it stands to reason that government entities could benefit from its advantages as well. Plus, our government utilizing a method of construction that is not only more efficient, but also more affordable than stick-built would help everyone. When it comes to projects like inplant offices, mezzanines/work platforms, and prefabricated guard booths, modular construction just cannot be beaten. And, being a GSA contract holder, Panel Built, Inc. has a solid standing and history working on government projects. We will not only be able to find you the most practical solution to your space needs, but the most economical too. Although most of our jobs are B2B (business to business), Panel Built has worked in collaboration with the United States government on a number of jobs, across our entire product line. 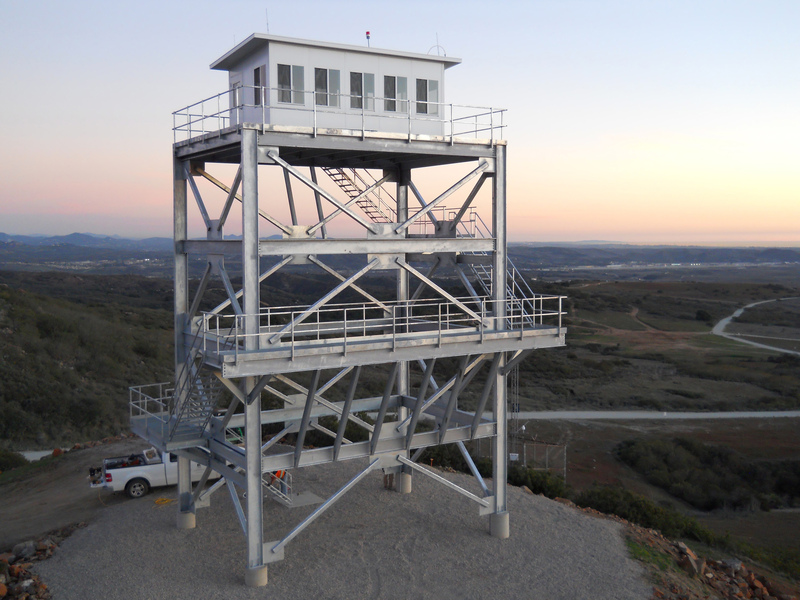 At the federal level, we have provided guard houses and mezzanines for our Armed Forces at military bases across the country, improving their safety and space needs. At the state level, we have provided modular offices, mezzanines and press boxes for state universities, and security booths for state penitentiaries. 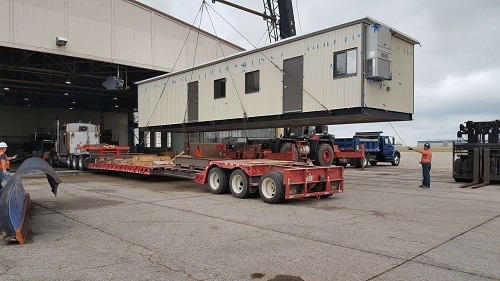 Finally, at a county level, we have provided modular structures for every type of government service you can imagine; airports, schools, waste treatment plants all over the country have PBI structures that help support their day-to-day activities. Being a GSA contract holder, Panel Built is readily available to provide the best quality and price our industry has to offer. Especially during this period in the election cycle, everyone pays closer attention to the spending of every different government agency. Regardless of your political tendencies, everyone can agree on wanting their government to spend taxpayers’ money as efficiently as possible. And, when it comes to construction projects, modular structures can provide undeniable benefits over their stick-built counterparts. In fact, modular construction can shorten construction project time by up to 30-50% in certain cases, and since modular construction takes place in a controlled environment, there are far fewer hiccups in the building process because you do not have to worry about outside weather in a factory. Also, with a modular structure, you have absolutely minimal downtime for your facility because the only on-site work required is installing the structure. Founded in 1995, Panel Built, Inc. has committed itself wholly to creating the best possible space solutions for companies, peoples, and organizations in all shapes in sizes. However, with numerous different US Military customers and structures sold to different government agencies, we pride ourselves on working with our government on providing the perfect product to complete their project. Besides being experts in modular construction, Panel Built, Inc. is a GSA contract holder that is willing to go above and beyond the call of duty to provide our customers with a product that exceeds their expectations. Aside from the reputation and reliability of this company, there are other advantages to utilizing the services of Panel Built. Although we can provide both prefabricated and preassembled structures, along with platforms, guard rails, and safety barriers, you will also be working with a company that has completed countless government projects in the past, meeting all codes and regulations along the way. In conclusion, if you need to have a modular office, preassembled building, platform, guardrail, safety barrier, or any type of custom project made for your department, Panel Built is the company you should work with. Based upon our reputation and reliability in the industry, you will not go wrong working with us. Here are some pointers to ensure your modular project fits you best! and get your next project started! With so many companies and corporations making use of modular construction, it stands to reason that government entities could benefit from its advantages as well. 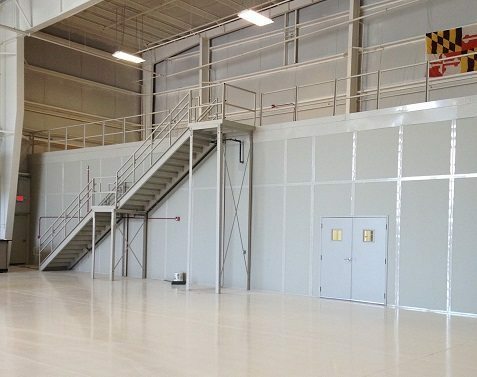 When it comes to projects like inplant offices, mezzanines/work platforms, and prefabricated guard booths, modular construction just cannot be beaten.